Across the globe, ancient evil is stirring. Now, you and your trusted circle of colleagues must travel around the world, working against all odds to hold back the approaching horror. Foul monsters, brutal encounters, and obscure mysteries will take you to your limit and beyond. Do you have the courage to prevent global destruction? 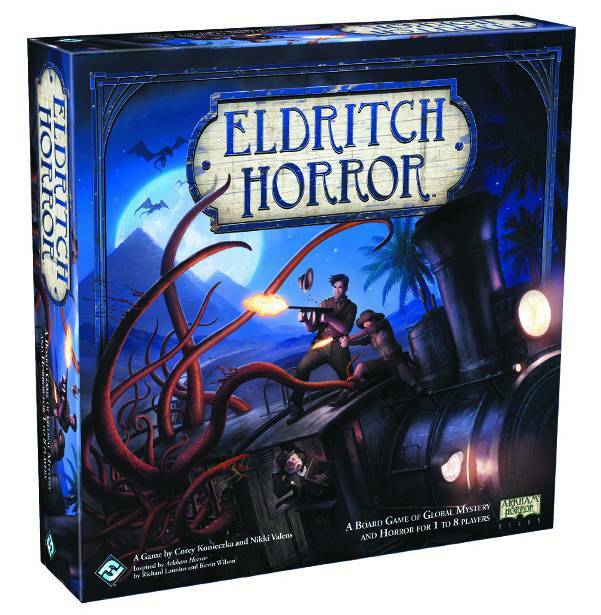 Eldritch Horror is a cooperative game of terror and adventure in which one to eight players take the roles of globetrotting investigators working to solve mysteries, gather clues, and protect the world from an Ancient One. With twelve unique investigators, two hundred-fifty tokens, and over three hundred cards, Eldritch Horror presents an epic, world-spanning adventure with each and every game..